Exploring the heart of documentary film-making. Do you love a good story? If yes, you enjoy human connection and the idea that a story can make tears spill from your eyes, or your heart to root for the underdog. When we go to the movies, there is always a storyline. A fictional character we either love or hate. Movies tell stories, stories that sensationalize our being. Stirring emotions that reel us in with the fantasy of the make believe. Yet, there is another type of film that tells stories that connect us. Not based on a novel, or dreamed up story, documentaries depict real people and circumstance. Documentaries are the TED talks of movies, or as Joel Douglas states, “The most honest form of film making.” Documentaries provide a raw, real look inside a story. Film makers of documentaries earn trust from audiences little by little as they tell the stories of everyday real life. Stories of humans that are shaped by experiences that have shaped their lives. 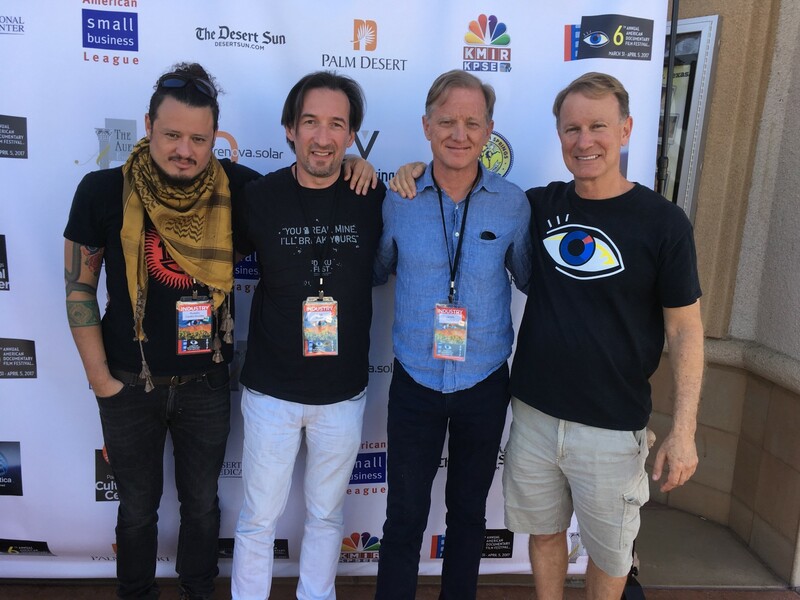 Attending the largest documentary film festival in the country, The American Documentary Film Festival, AmDocs 2017, Jamie Redford stated, “this was an incredibly, true learning experience… and that is what documentaries are all about.” The filmmaker and environmental activist Jamie Redford received the Seeing the Bigger Picture Award, the highest honor given by the Festival (AmDocs) in Palm Springs. Going to the movies is an escape, however documentaries may be the up and coming expression of the connection economy. Films spend millions on creating the “look” and “feel” to engage the audience, yet film crews of students or single families are creating an inside look on things that change a life or bring people together for a common passion or purpose. Documentaries offer a deeper connection, building educational bridges that offer a human experience. There is something so pure and honest about a documentary. There are so many stories to tell, and awareness to be revealed on many subjects around the world. “Filmmakers, festival producers, and the audience have been treated to a diverse selection of superb programming, making AmDocs 2017 an exhilarating experience for all,” Teddy Grouya, festival director, stated. Some of this year’s festival favorites include, Le Ride, a film by TV personality Phil Keoghan, where he traces the footsteps and bicycle tracks of 1928 Australian/New Zealand Tour de France team. Not only was it inspiring, it set the stage for the many films screening during the week of the festival, including the artistic and life work of Robert Shaw. The documentaries screened had uplifting undertones. There is an importance of telling a story “not made for TV”. By removing the romance of perfection, filmmakers produce something raw. Films with true grit and the magic of a message. The need for these documentaries to be available to citizens of the globe is large. It is nice to see the important work being done by this festival and others to celebrate these films, and help raise funds to create more magic.